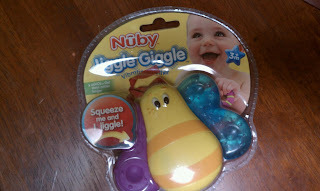 It's teething time in our household and we LOVE the Nuby Jiggle Giggle Teether toy. Little guy loves how fun it is to activate the jiggling part himself. At first, it took him a few days to learn how to squeeze or nibble hard enough. Now, we can't get him to stop nibbling on the fun jiggly toy! 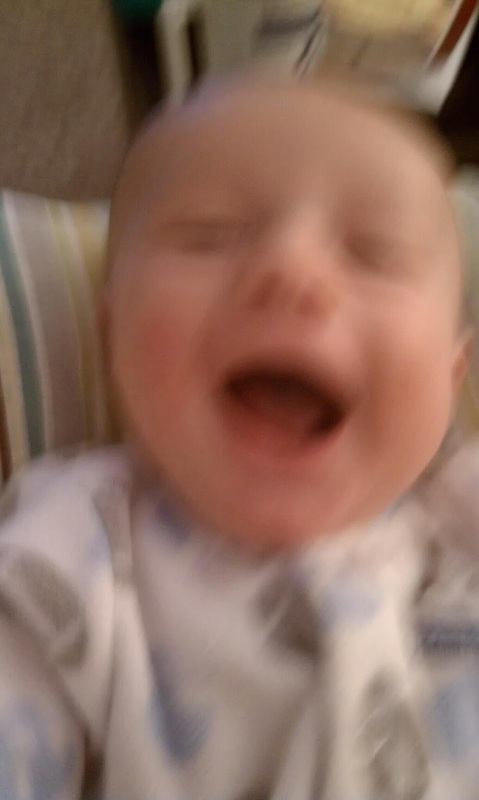 Little man SO excited he is a blur of movement! It has a GEL side and a jiggle size.